Xbox 360 is a platform that can use many of your existing entertainment and communications systems. 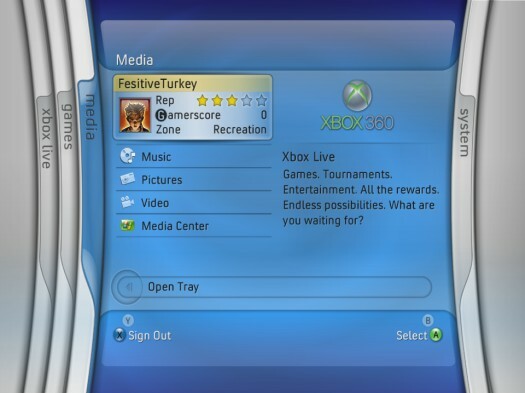 You can use your Xbox 360 with standard or high-definition TVs, connect and play the digital content from your PC, and join online communities that are dedicated to the Xbox 360. Maximum performance on modern HDTVs. Compatibility with a standard TV set. In the United States and Canada, standard National TV Standards Committee (NTSC) broadcast signals have 480 lines of resolution. In Phase Alternating Line (PAL) system countries (such as the United Kingdom, Australia, and Singapore), standard broadcast signals have 576 lines of resolution. Xbox 360 games are designed for 720 lines of resolution, and these lines are scanned differently than standard TV, making for a much denser picture. Higher-resolution screens allow better pictures. The Xbox 360 is a great device for connecting and playing the digital content, such as pictures and music, from your Windows PC. 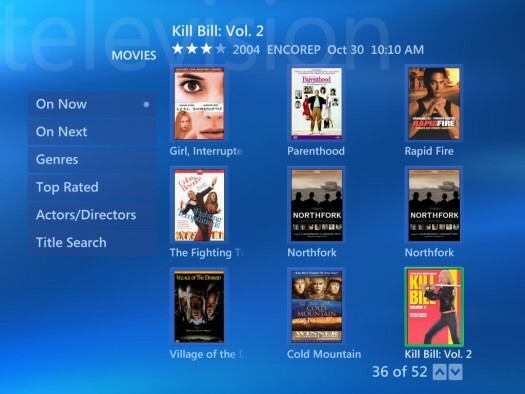 Using your home network, you can connect to a Windows Media Center PC and make the output from that connection your primary TV portal. This lets you pause live TV, record shows, and access all the digital content that you store on the PC. Combining Xbox 360 with your Windows Media Center PC can give you instant access to your vacation videos, your family photos, and your full music collection. Figure 1 shows the movies screen on the Windows Media Center PC. Figure 1: Find a movie to watch on the Windows Media Center PC through the Xbox 360. Windows Media Connect turns your PC into a media server that can host music and photos for your Xbox 360. This capability is available in Xbox 360 through the Media blade shown in Figure 2. Figure 2: The Media blade on the Xbox 360. If you have an Xbox 360, you may get . . . attached to it. Don’t worry — others have felt this so strongly that they’ve formed huge communities on the Internet where they can talk about their systems and the games they play on them. Join other attached people at Xbox.com and share your passion. This community is big, and it’s great. When you ask questions on the forums at Xbox.com, community members quickly answer them. • 1. Click the Search link on the page. • 2. Enter the text you’re looking for and press Enter. • For example, if you’re looking for tips for getting through Kameo, try entering phrases like “Stuck Kameo” or “Kameo Level 1”. These searches can lead you straight to the answer you’re looking for!